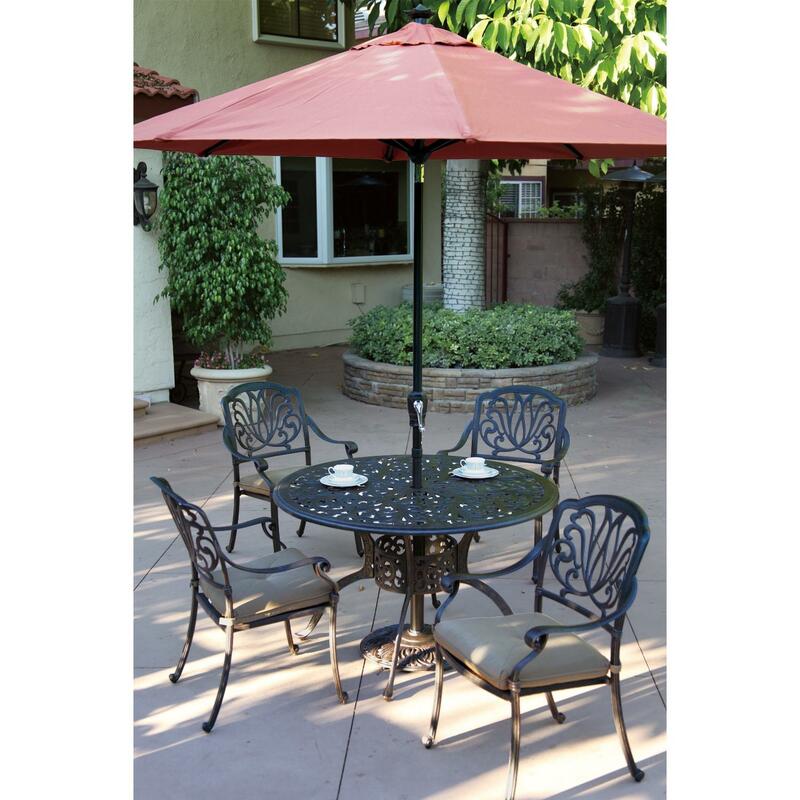 Surround yourself with the practical beauty and protective shade of a Darlee 9 Ft Aluminum Auto Tilt Patio Market Umbrella. 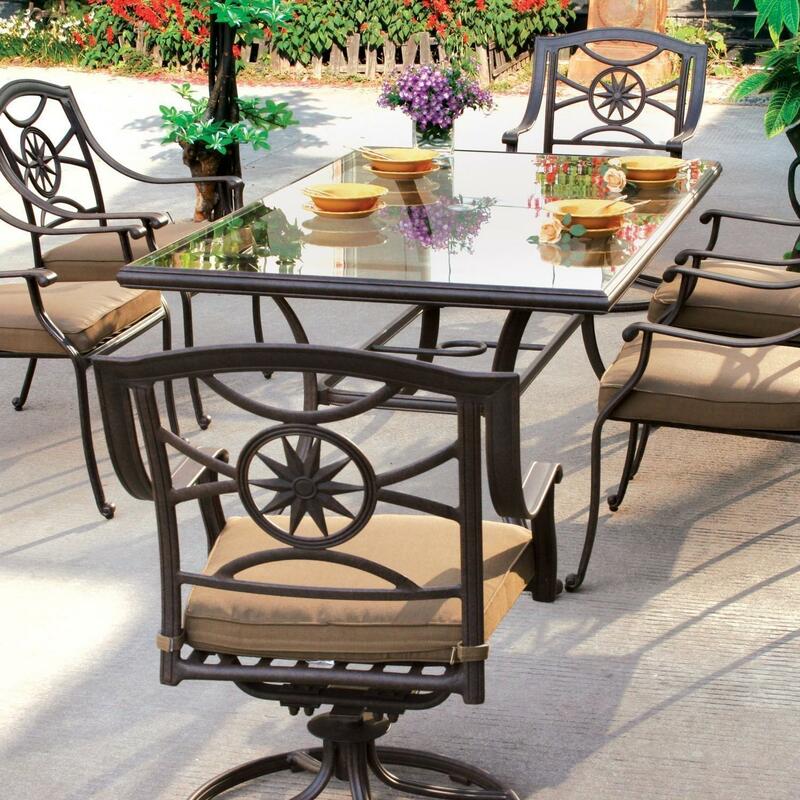 Darlee uses quality materials and durable construction to provide elegant and practical outdoor furnishings. 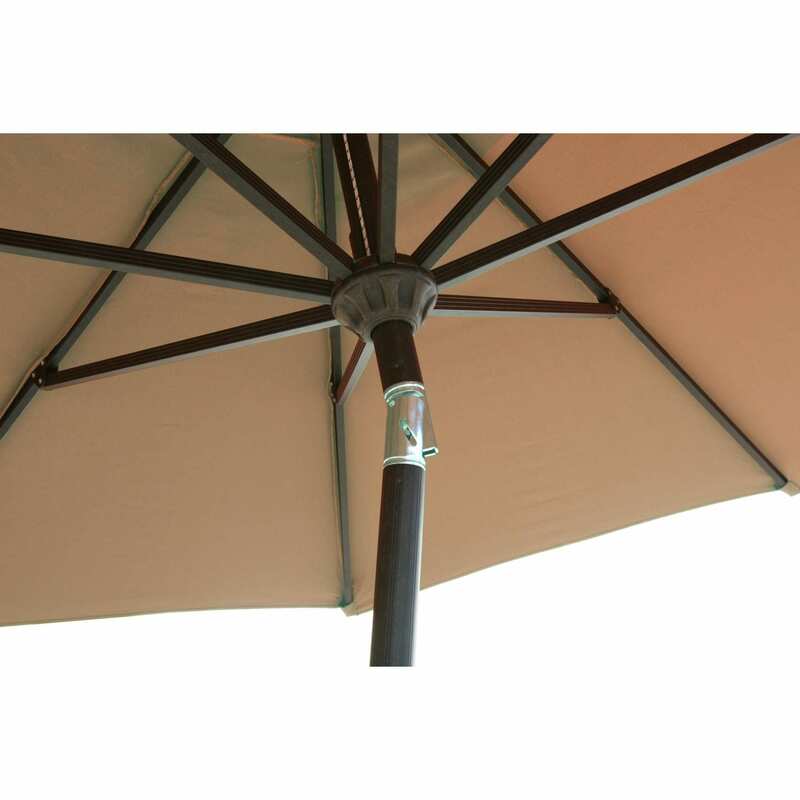 This 9-foot wide patio umbrella boasts EZ tilt technology, allowing full control of the canopy angle to provide shade any time of the day. 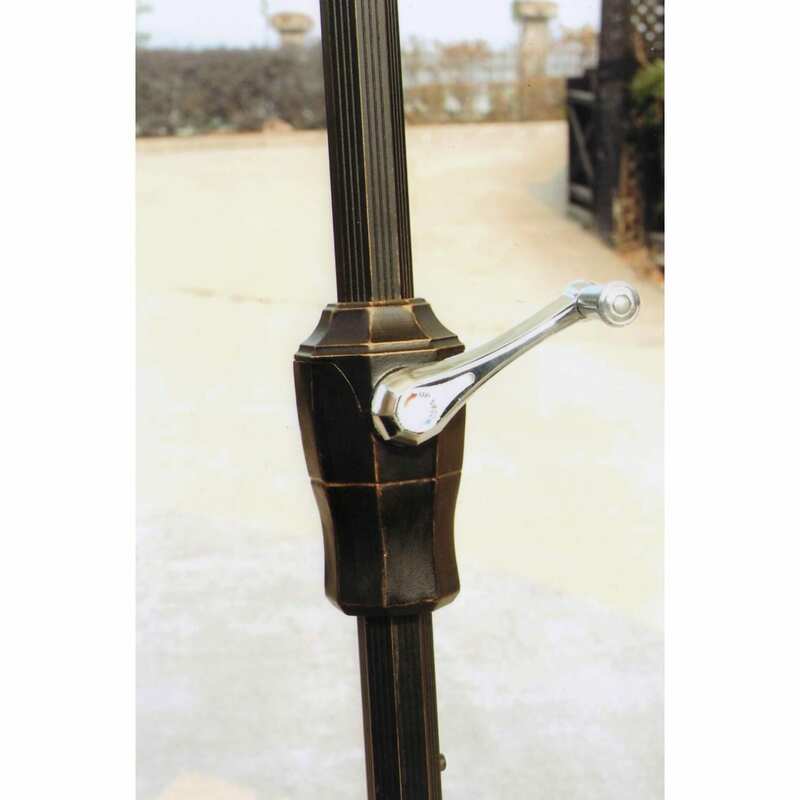 The 8 heavy-duty aluminum extrusion ribs stand up to normal outdoor wear and tear and a powder coated antique bronze finish extends the lifetime of this premium patio accessory. 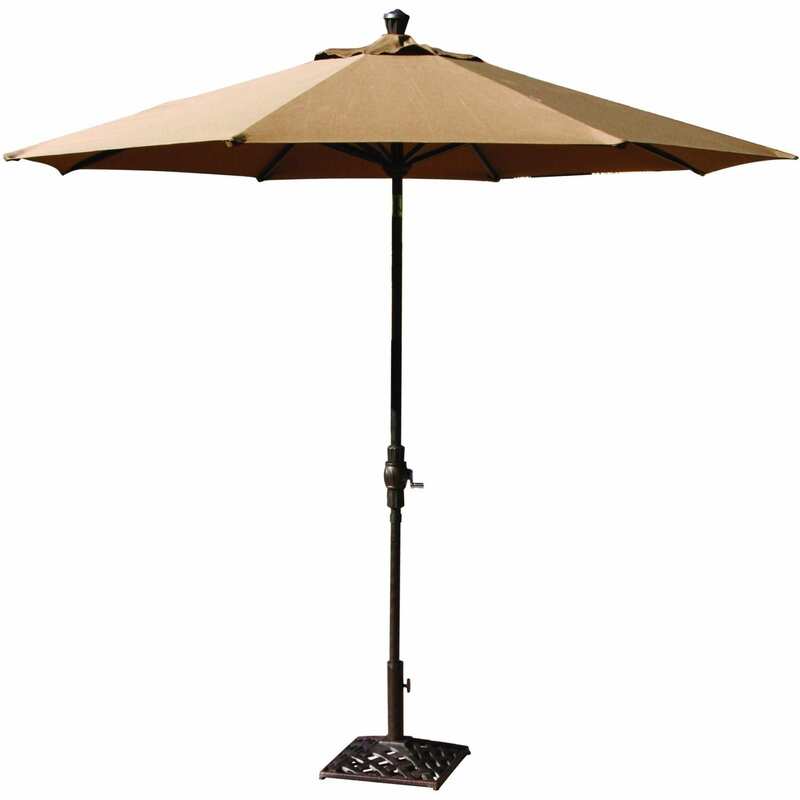 This model features a neutral brown umbrella fabric to blend with any patio decor. Darlee does not warranty for commercial or institutional use. All warranties apply to the original purchaser and begin at the date of purchase. Darlee reserves the right to make a disposition whether to replace, repair, or refinish any covered warranty product. In the event that any product is no longer available, equal value replacement will be offered. During the third year after the of Darlee furniture, it is the responsibility of the purchaser to pay all freight costs for replacement. Replacement will be shipped Local, Common Carrier, or UPS Ground only. When requested, a photograph and proof of purchase must be provided to Darlee Outdoor Living Inc when requesting replacement or repair. Darlee furniture frames are warranted to the original purchaser to be free from defects in material and workmanship for a period of five years from the date of purchase. The exception to this is the Bahamas Collections, which carries a two year warranty, not a five year warranty. Darlee will warranty the powder coat finish for a period of three years from the date of purchase against blistering or peeling. Warranty periods are one year for lighting and garden accessories. This Warranty does not cover damage caused by ammonia, harsh abrasive cleaners, pool chlorine, suntan oils, blocks and/or lotions. Darlee will also not warrant against accidental damage (fire, wind, freezing, or other acts of nature) and any failure caused by unreasonable use or abuse. Rust seepage or bleeding form crevices or hidden surfaces are inherent in some ornate designs. Rusting and/or oxidation of furniture resulting exposed metals that have been scratched, chipped, or not properly maintained. Any furniture placed for a period of time within five miles of a salt-water pool/coastline, hard-water deposits or calcium build-up due to minerals found in regional water supplies are also not warranted. 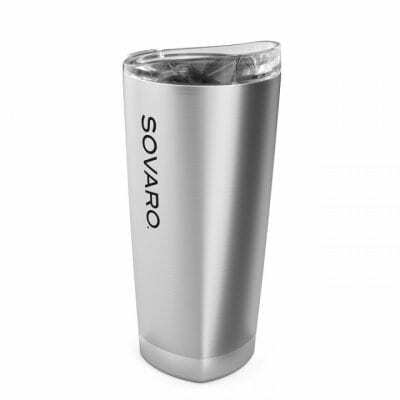 Due to the unique nature of hand-applied finishes,fading and wearing is not included in this warranty. 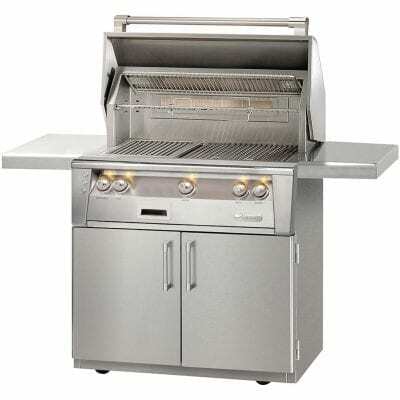 In addition, this warranty does not cover cast iron rusting, rocker and swivel mechanisms, and glass or leg levelers. A change in manufacturer is beyond the control by Darlee. 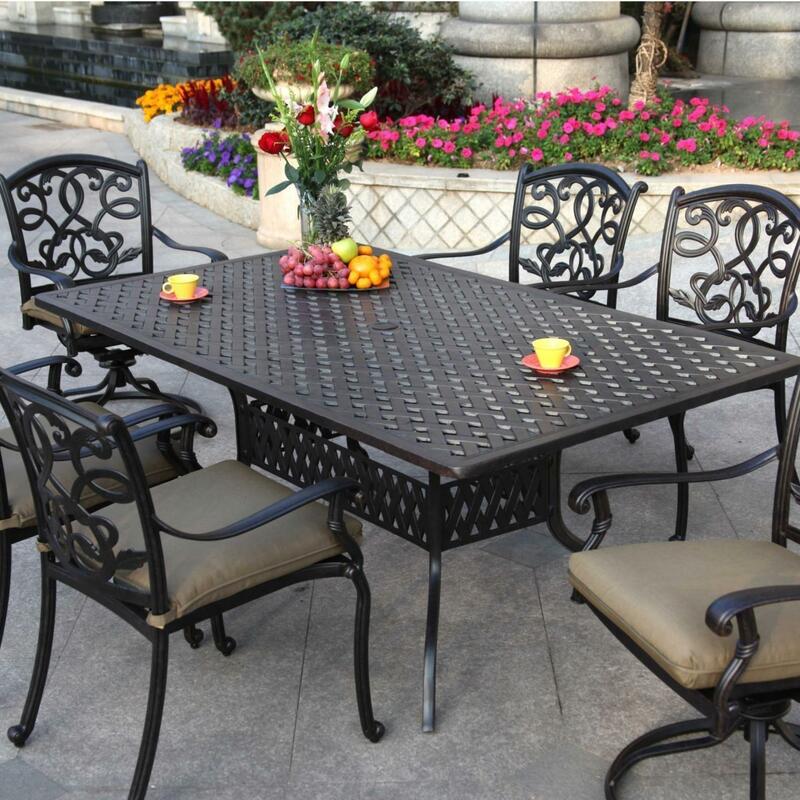 Granite tabletops are warranted for a period of one year from the date of original purchase. This Limited Warranty covers the workmanship and structural integrity of the tabeltop. Due to variations in photography, the color of the cushions may be differ slightly. Darlee cushions are warranted to the original purchaser to be free from defects in material and workmanship for a period of one year from the date of purchase. This warranty does not cover fading of fabrics, damage caused by ammonia, harsh abrasive cleaners, pool chlorine, suntan oils, blocks and/or lotions, mold, mildew, neglect, or from lack of providing reasonable care and maintenance. Also not warranted is accidental damage (fire, wind, freezing, or other acts of nature). Hard water deposits or calcium build-up due to minerals found in regional water supplies are also not warranted. Darlee reserves the right to replace the cushion or cushion cover depending on the nature of the problem. In the event that the cushions are no longer available, Darlee will provide a similar replacement as soon as possible. Please note: there may be a color and texture difference in the replaced cushions, which is beyond the control of Darlee. Works great! Offers plenty of shade on those hot summer days.